No I don't have a whole set of these beautiful 5-color eyeshadow palettes. I wish I did. 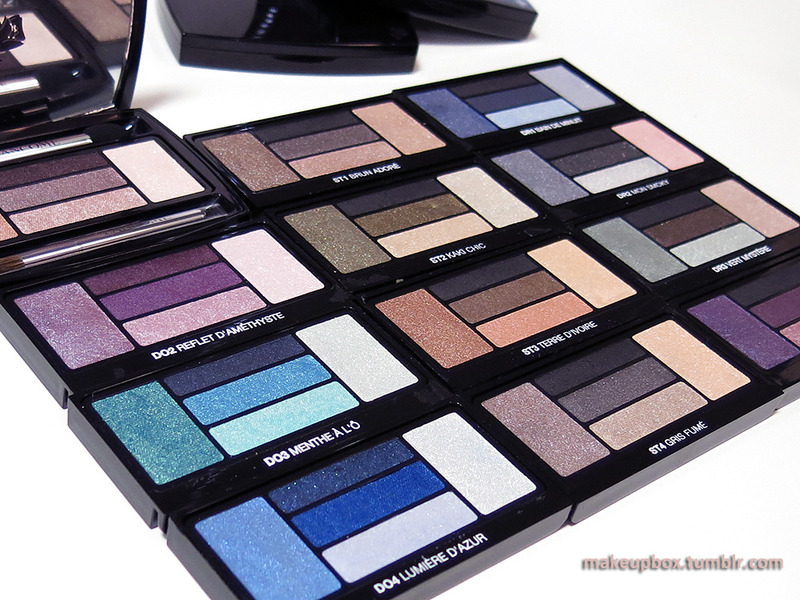 The shots were taken at the Lancôme office, and I had a bit of time to do some serious swatching with some of the palettes I really liked. The new range comes in 3 "types". 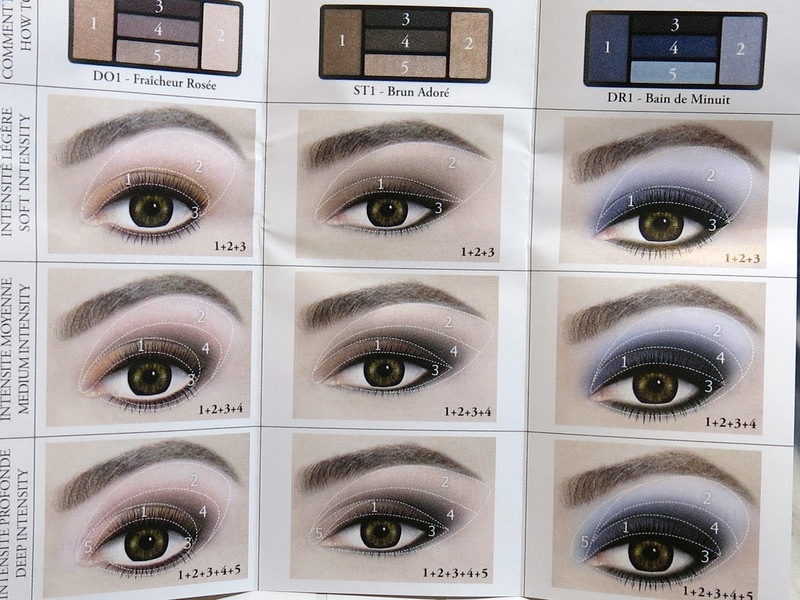 Each palette also comes with a visual tutorial insert with eye looks you can try. I'd recommend just picking colors you like or that suit your lifestyle rather than being restricted by which category they are labeled under. As with any high-end luxury brand, these are high quality shadows you want to be getting a LOT of use out of, if you decide to invest in them. 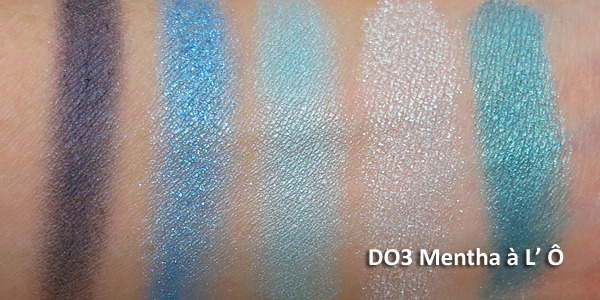 Doll Eyes 3: Mentha a L' O is a beautiful marine/teal collection with shades that remind me of MAC's Tilt and Steamy. 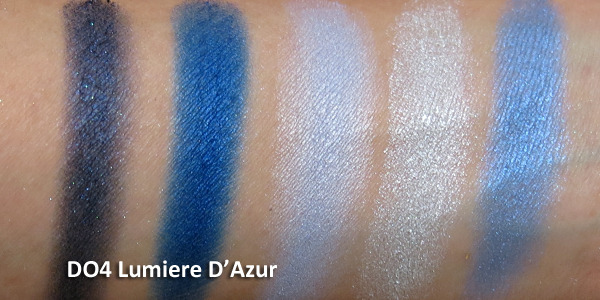 Doll Eyes 4: Lumiere D' Azur is a beautiful collection of blues from navy to cobalt to azure and ice-tones. 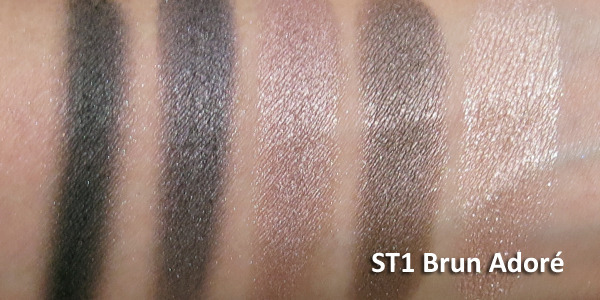 Star Eyes 1: Brun Adore is a perfect neutral smoky-brown set, perfect for Victoria's Secret style bombshell eyes. 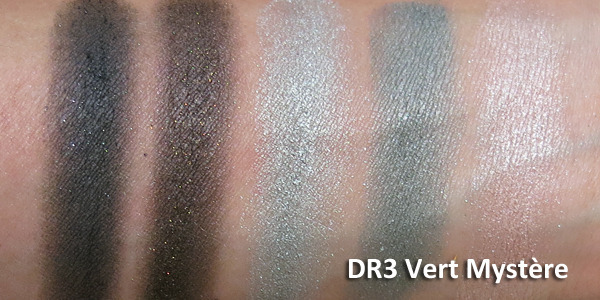 Drama Eyes 3: Vert Mystere is composed of khaki-toned cloudy greens and some neutrals. A very unique palette. I'll let the swatch images speak for themselves. I took these right there without professional lighting, and I wasn't wearing any base on my arm, so you can see how intense they are. 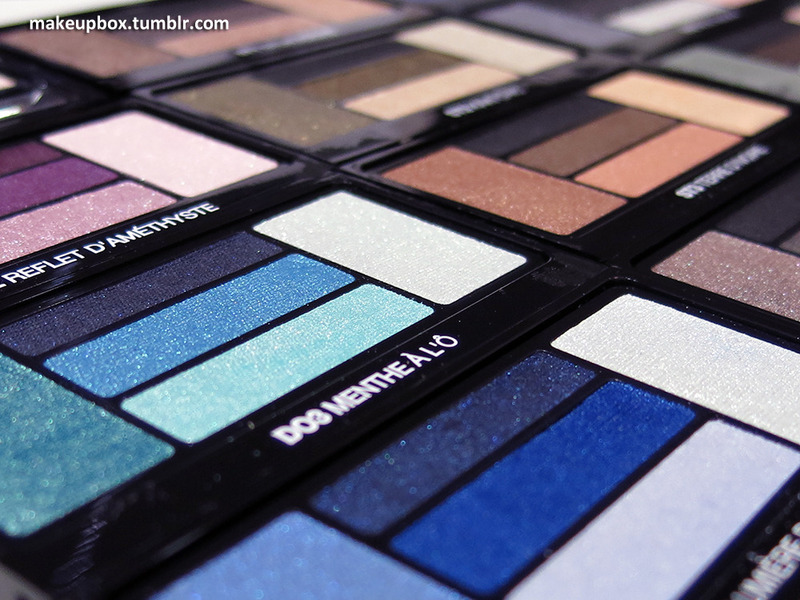 NOT all the palettes were equally pigmented though (e.g. DO2 Reflet D' Améthyst was not nearly as pigmented as most of the other palettes), so depending on whether you like stronger or softer shades, it's best to test them out in person before you decide. A brush applicator (blending) and a dual-ended sponge tip with a wide end (packing on shadow),and a thin end (lining). 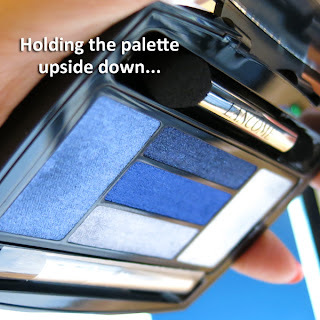 The applicator wells are magnetized so the sponge applicator and brush don't fall out every time you tip the palette. Let's just get it out there; these are expensive! Each Hypnôse eye palette is US$51 or SGD90 for 2.7g (0.09 oz) of product. They are right up there with the Diors and Chanels. 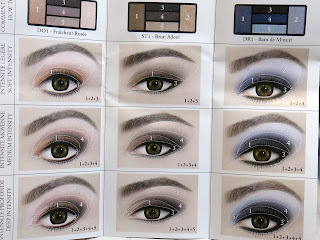 If you are just starting to experiment and want tons of color to try lots of looks with, you might be better off spending this amount of money on a number of budget palettes with tons of shades. then you might get a lot of mileage out of one of these, because they ARE very good shadows. FaceTime is an Apple's item which lets you video conversation download facetime app we have Google Hangout as it's the most effective choice. You are need to be lawful homeowners of the 50 United States, surveymonkeyfree invoice from any kind of Smashburger dining establishment. customer survey The Smashburger Survey asks really enter survey to win right into account and also placed it right into activity, customer feedback The actions are similar to those of other survey. With the cable being 6 foot, you do not need to Best Router Table fret about it not reaching. One more reason Router Table why this prevails is that it has a big workspace.